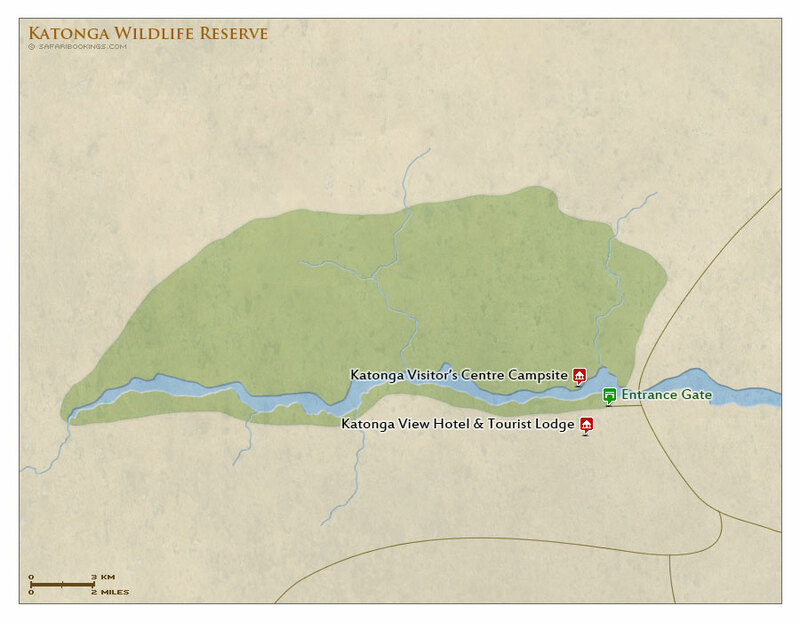 Katonga Wildlife Reserve – Travel Guide, Map & More! Katonga is a little-known, low-key wildlife reserve close to the city of Kampala. Efforts to better protect the park against poaching are slowly restoring the animal population. Several antelope species are easily seen, including the Uganda kob. The rare, marsh-dwelling sitatunga antelope can sometimes be spotted as well. There are no roads for vehicle safaris, so the park is best explored on foot. Katonga doesn't support most of the large safari animals. Big cats are absent, and elephant and buffalo occur in small numbers only. 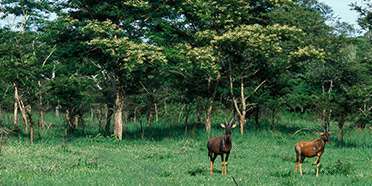 But the park is one of the few places in East Africa that offers a chance to see the sitatunga antelope. Several other antelope species are present as well, including reedbuck, bushbuck, waterbuck and Uganda kob. Baboon and black-and-white colobus are also regularly spotted. As a first phase of restocking, zebra and impala were translocated to the park from Lake Mburu in 2013. The birding is great due to the variety of habitats. A variety of habitats can be explored in the park including rainforest, papyrus swamps and savannah. The park is on the edge of the Katonga river valley. Katonga can be visited at any time of the year, but the best time for wildlife viewing is in the Dry season (December-February and June-July). Katonga is the closest park to Kampala and can be reached from the Fort Portal–Kampala road. It can easily be incorporated in a standard Uganda itinerary. Want to Visit Katonga WR? I didn't see enough of birding to decide; and I don't know what bush vibe means.